This photograph shows a Valentine Diner building in Coyville, Kansas. Valentine Diners were manufactured in Wichita, Kansas. They were constructed as eight-to-ten-seat diners that one or two people could operate. 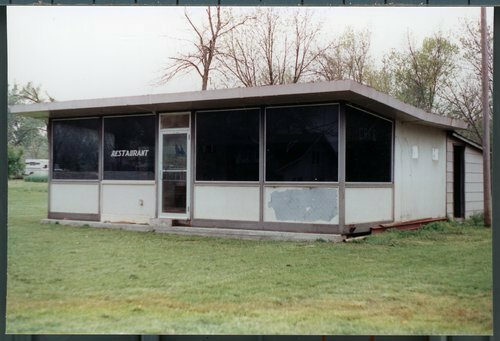 In an industry where nearly all major diner manufacturers were on the East Coast, the Kansas company managed to ship its pre-fabricated structures across the country. Valentines could be found along major highways to attract travelers, in industrial areas to attract workers, and in small towns where they might be one of the only restaurants available.